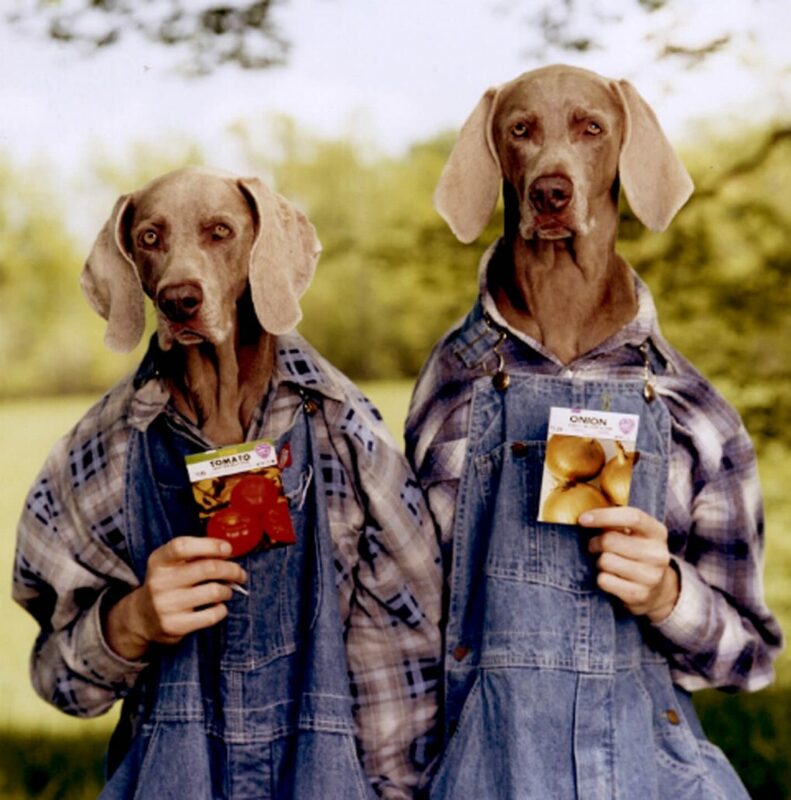 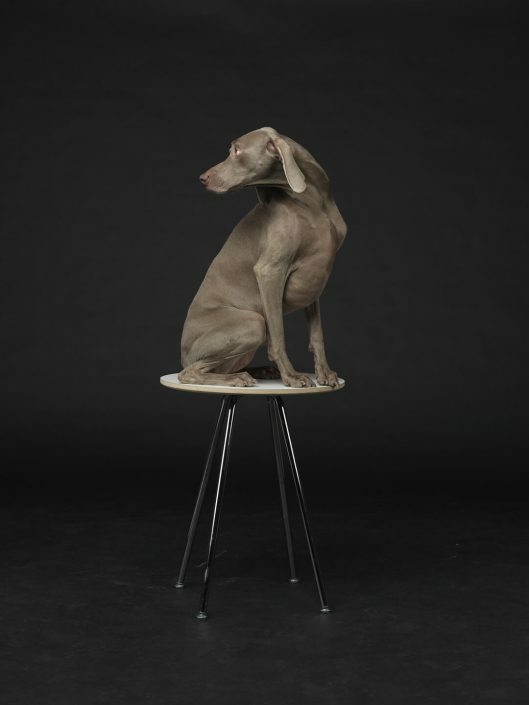 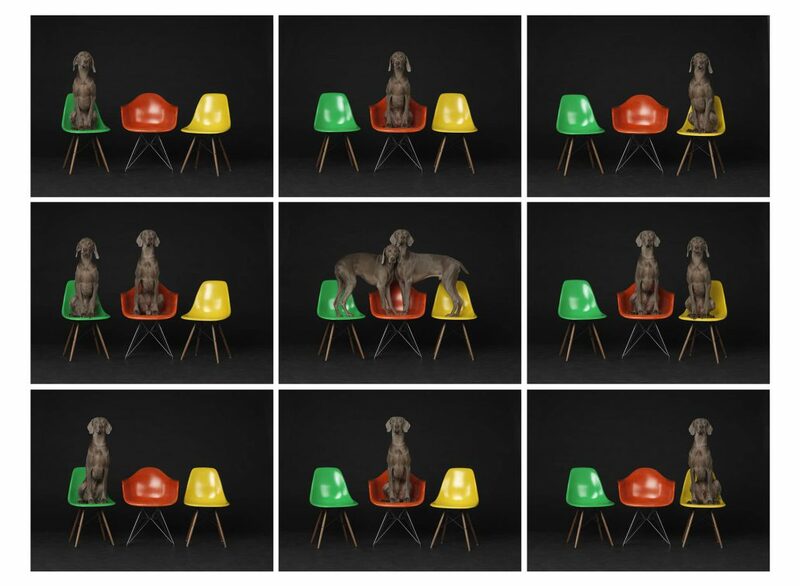 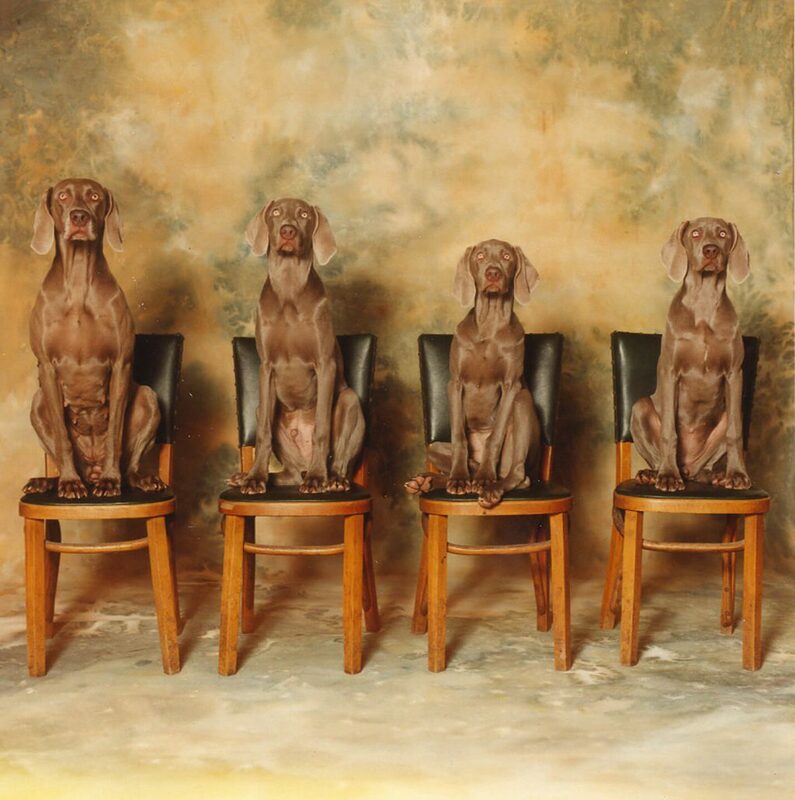 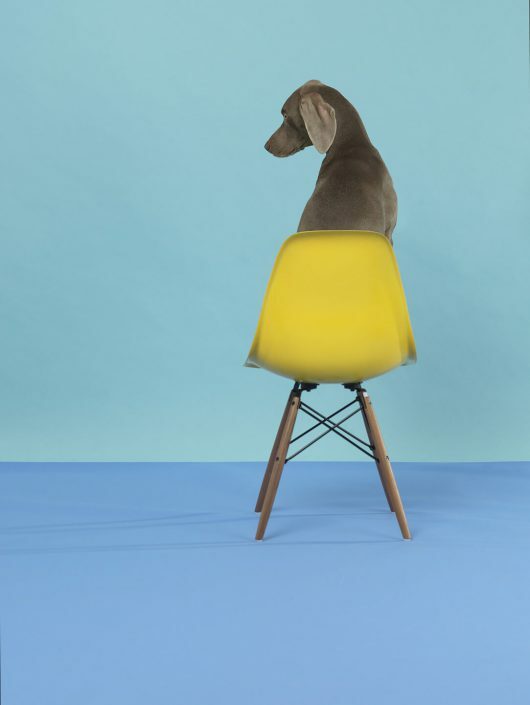 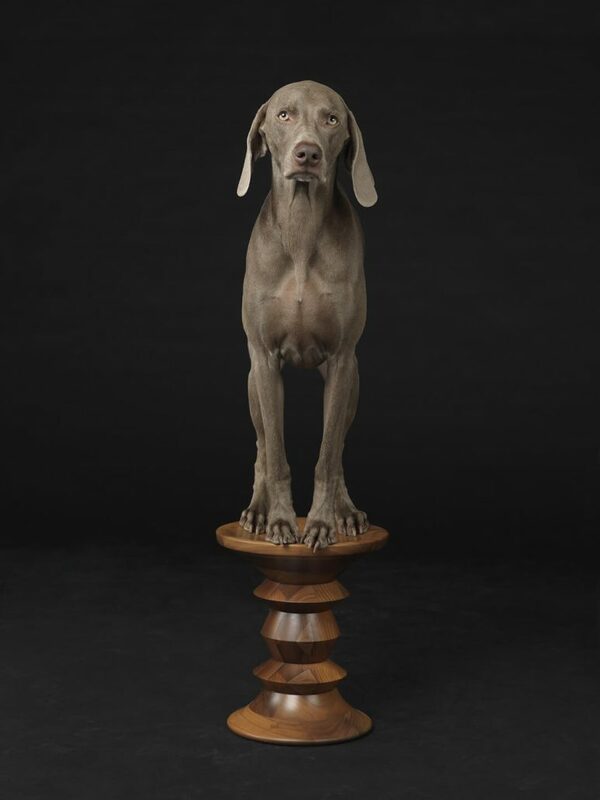 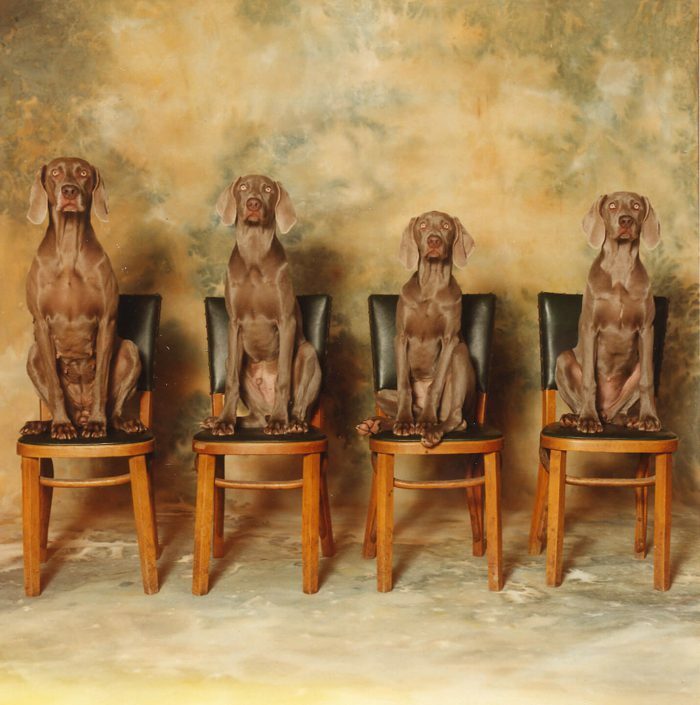 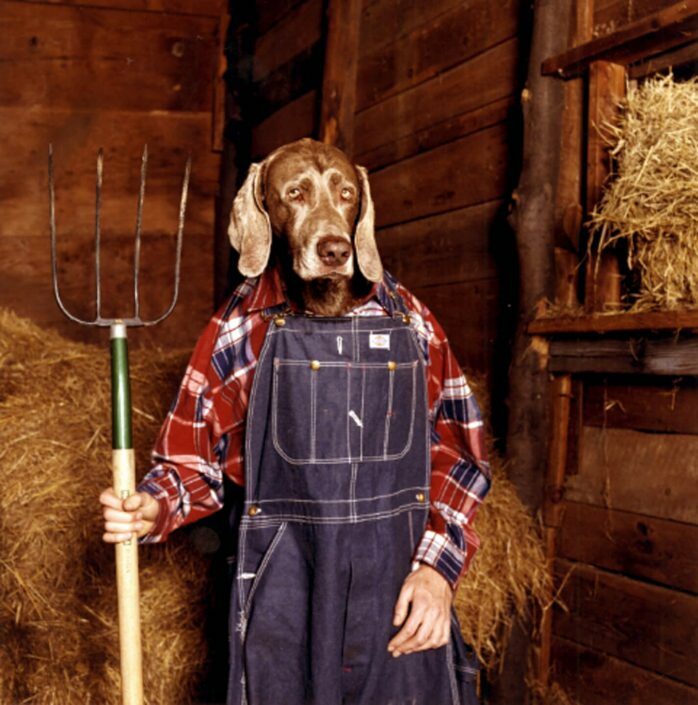 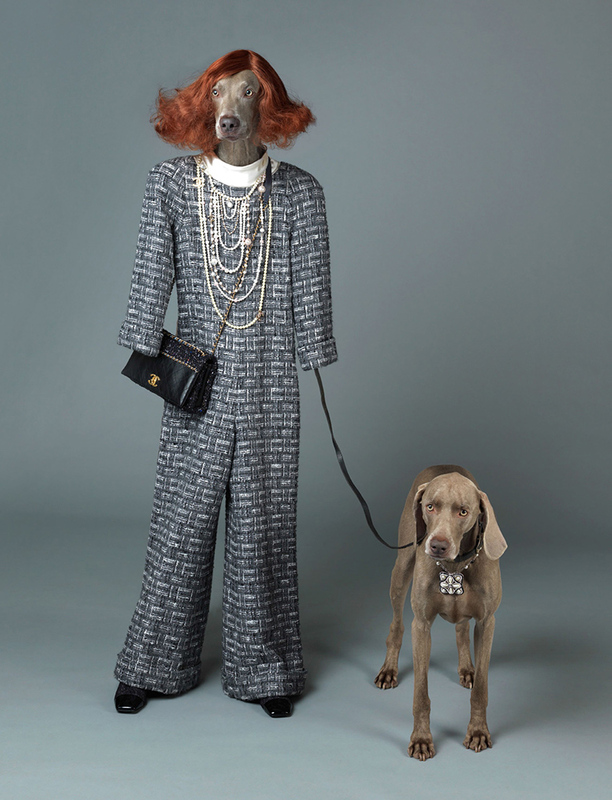 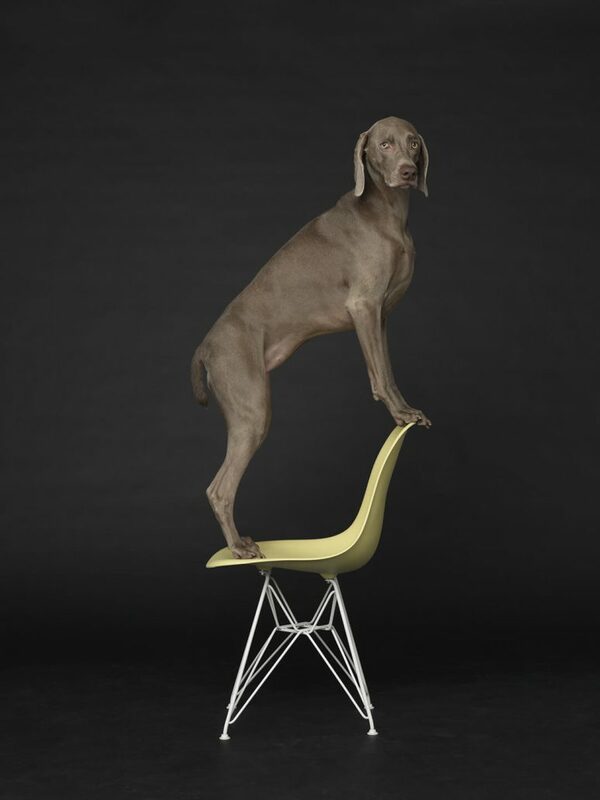 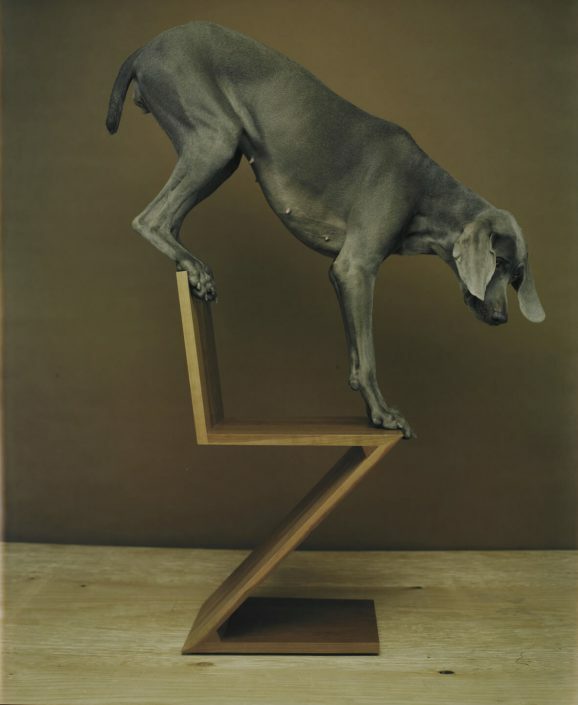 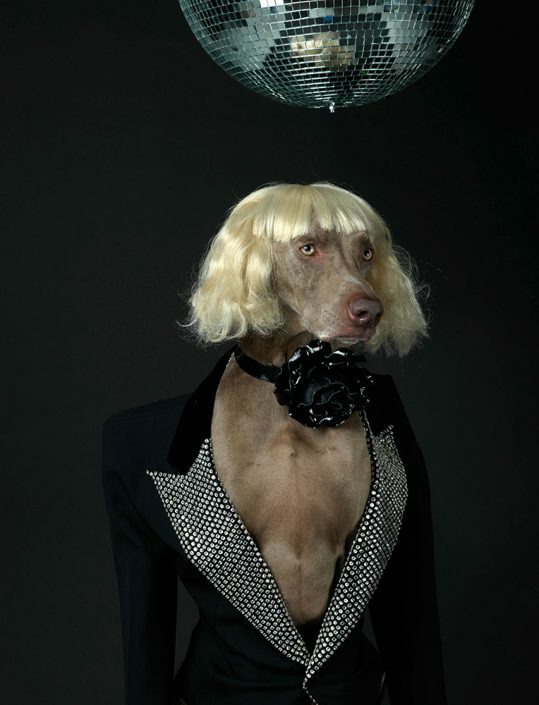 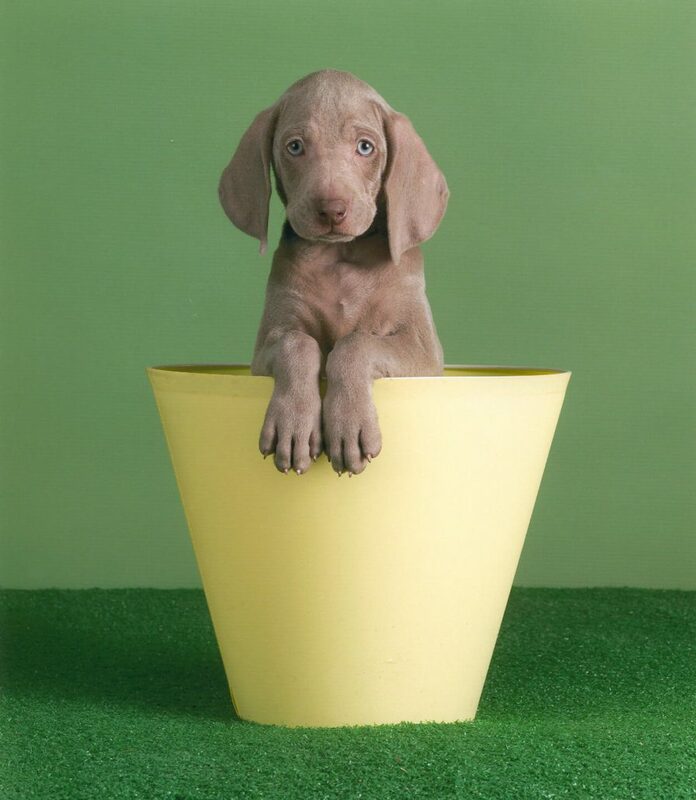 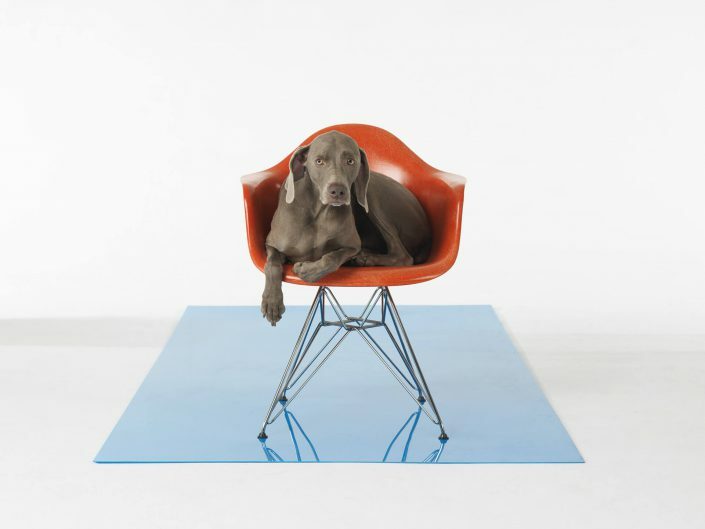 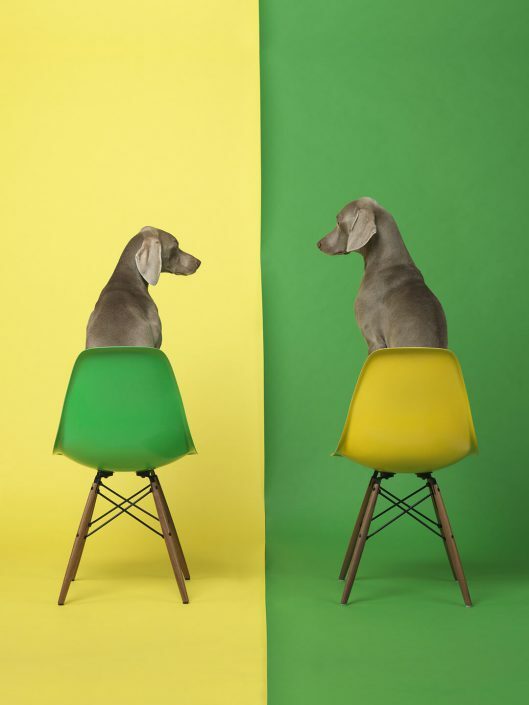 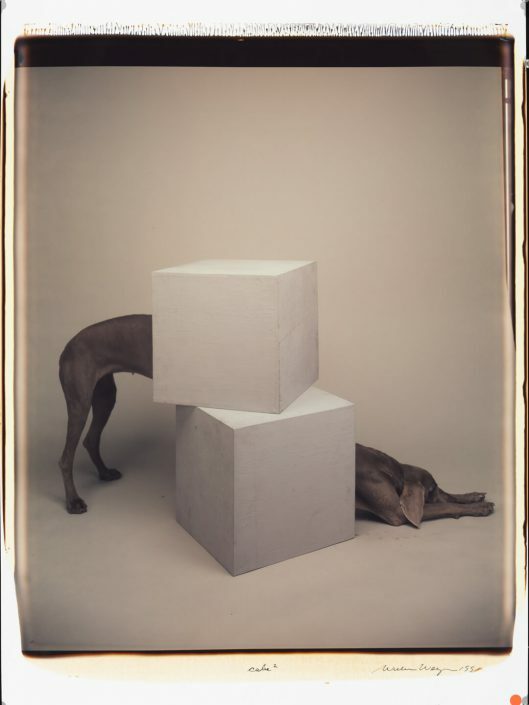 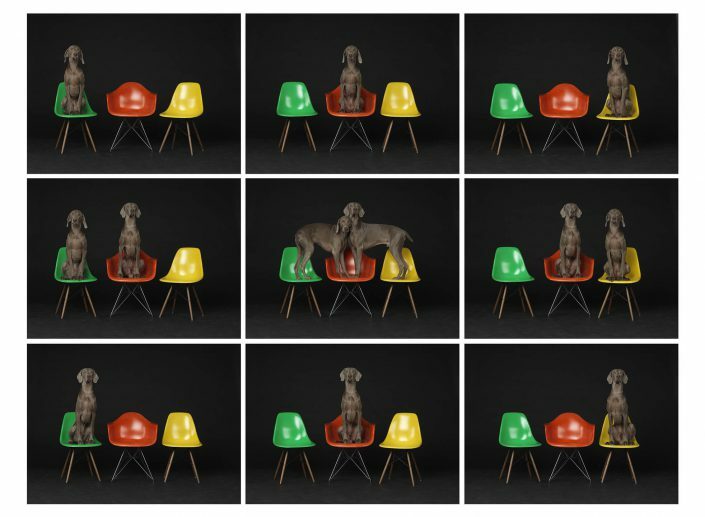 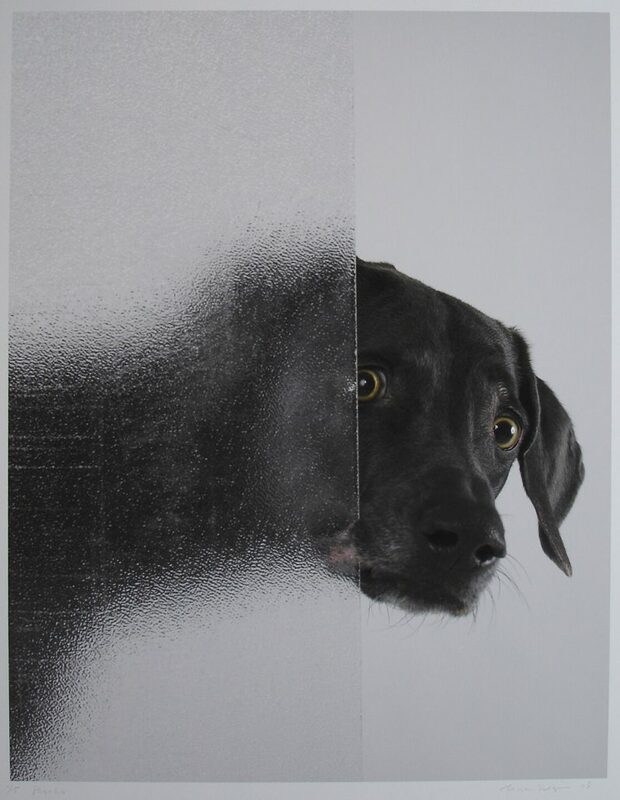 William Wegman began his career as a painter and was included in such groundbreaking exhibitions as the 1969 When Attitudes Become Form at Bern Kunsthalle and the 1972 Documenta V in Kassel. 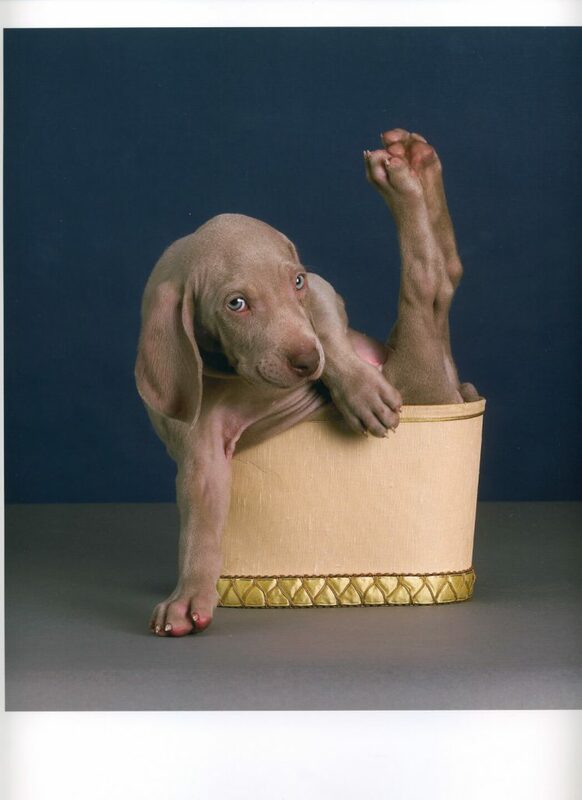 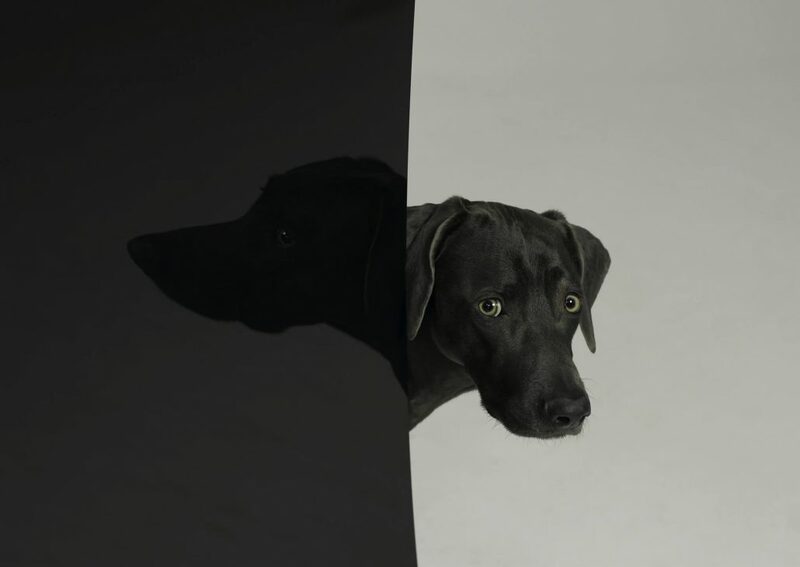 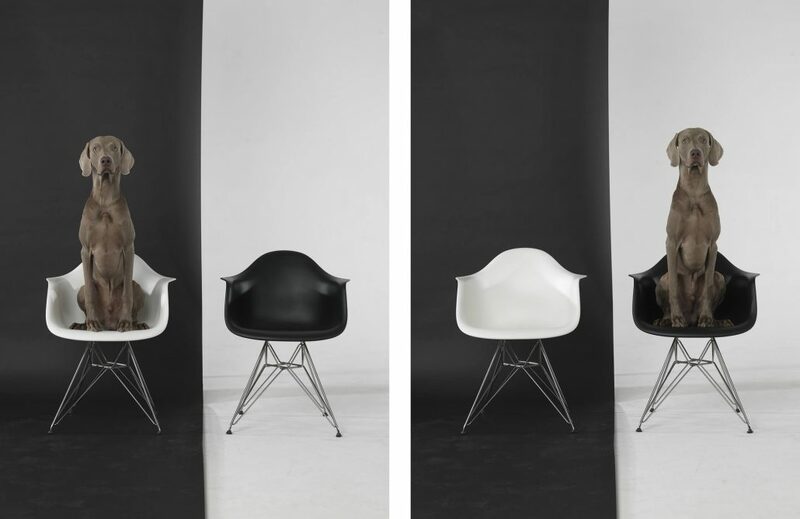 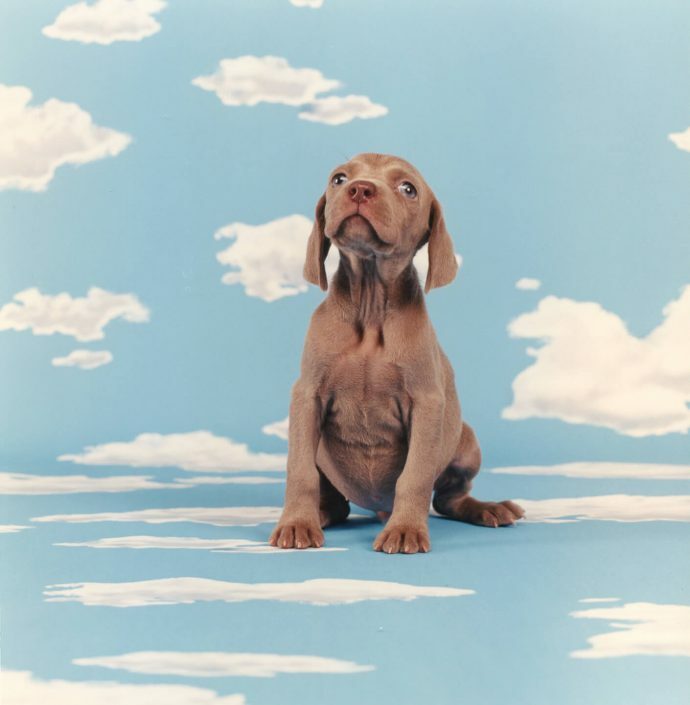 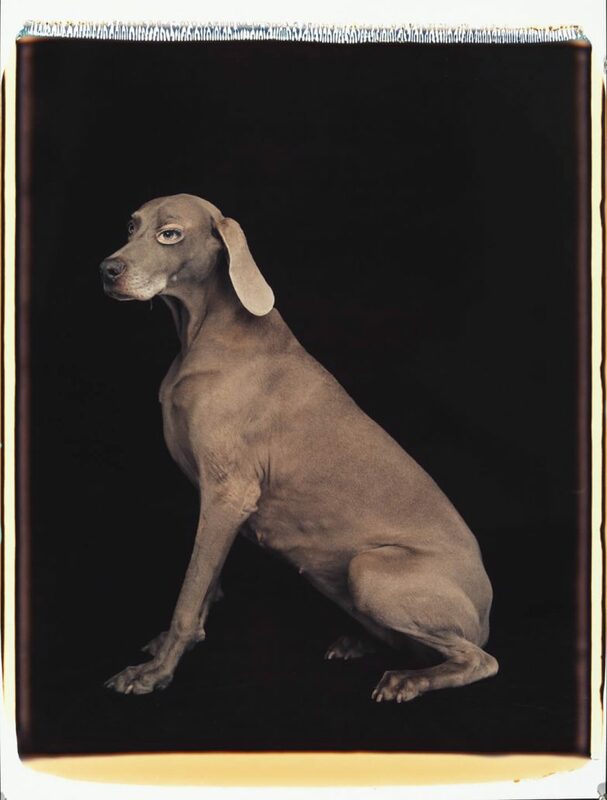 In the early 1970s, he started making short conceptual videos, some of which featured his elegant Weimaraner dog named Man Ray after the American Dadaist artist and photographer. 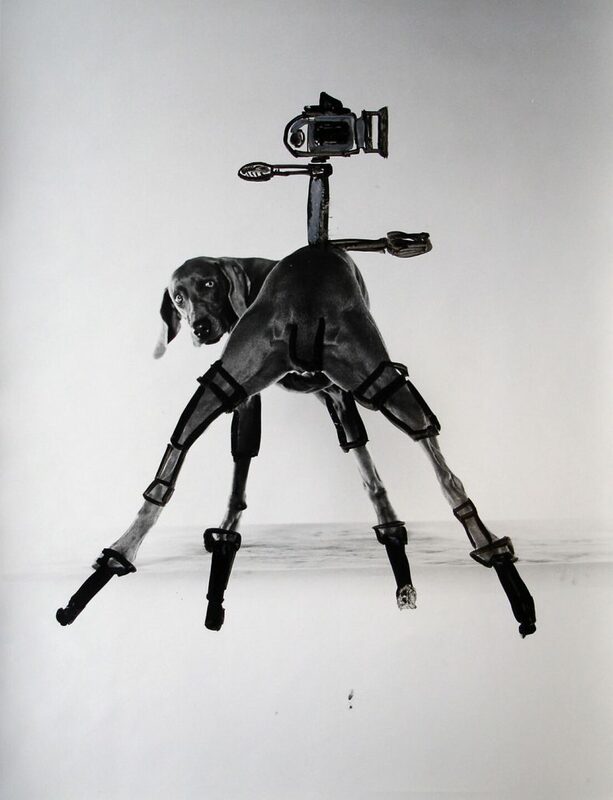 Recorded in a single take on a portable camera, Wegman’s videos used sight gags and immediacy of the medium to create absurdist narratives that undermined the ideals of high art and culture. 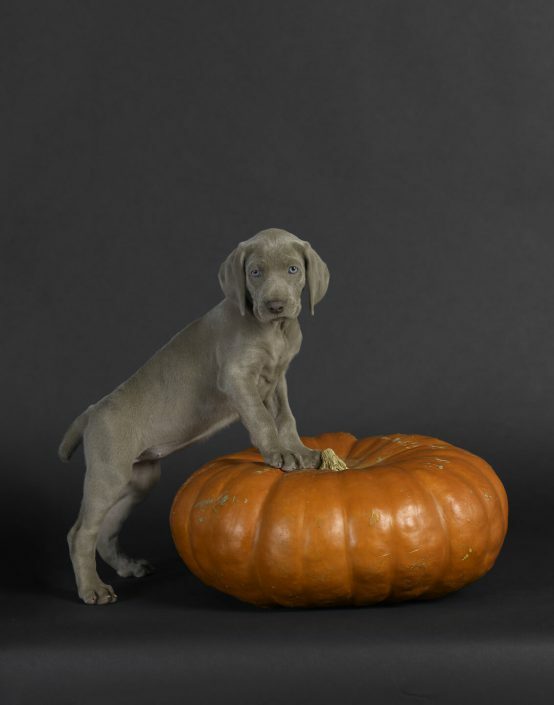 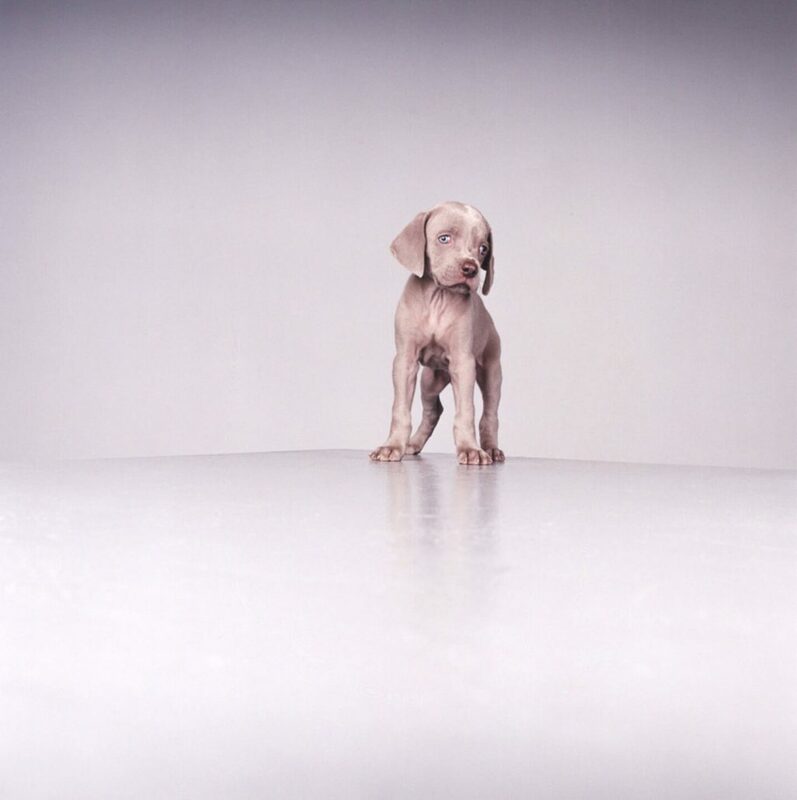 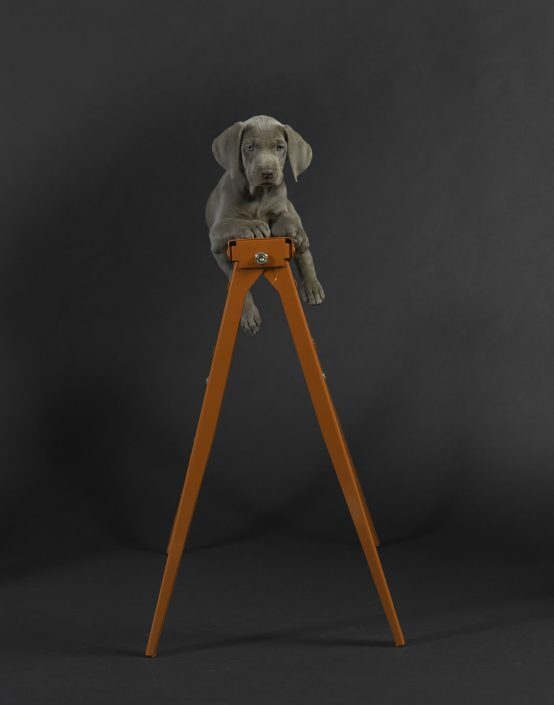 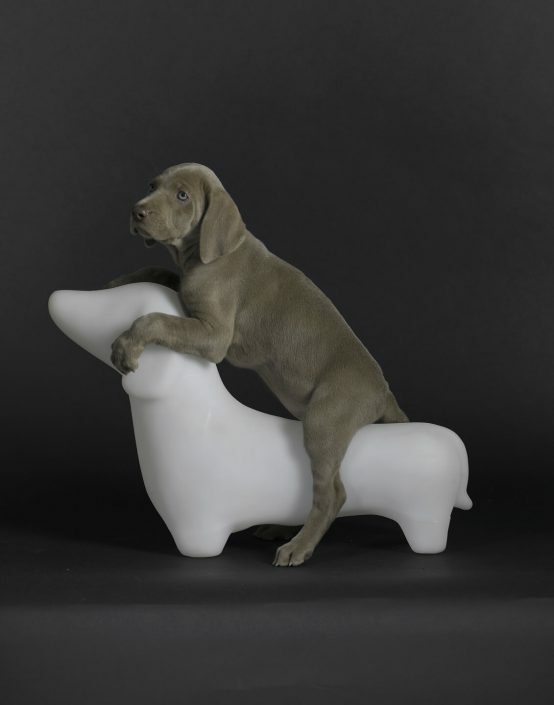 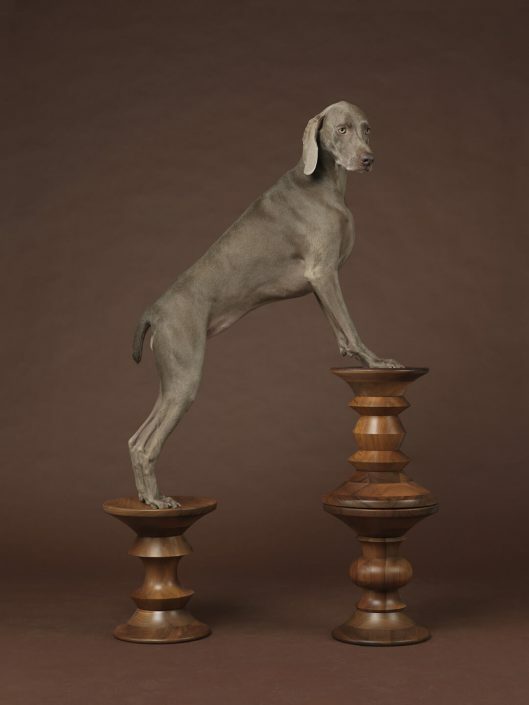 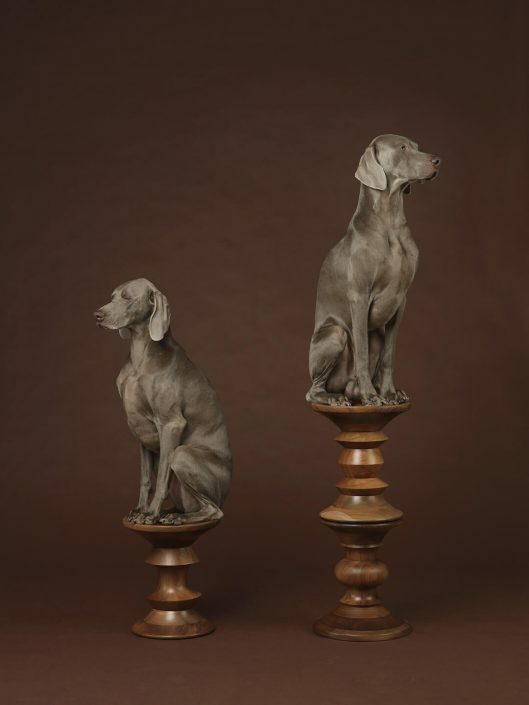 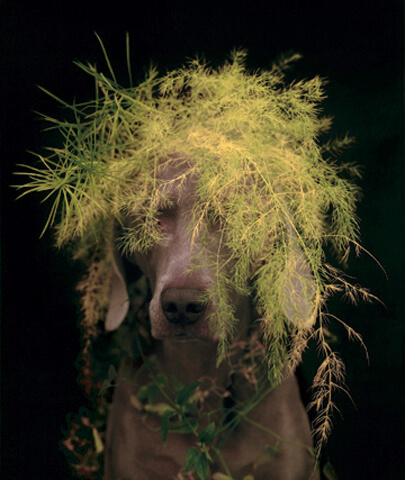 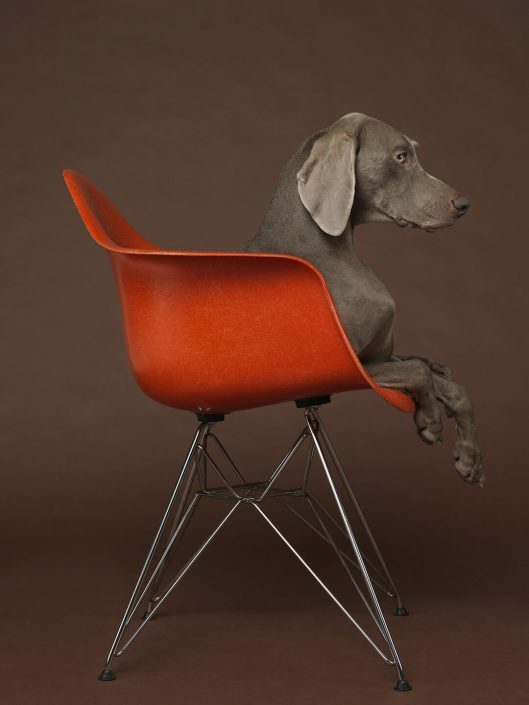 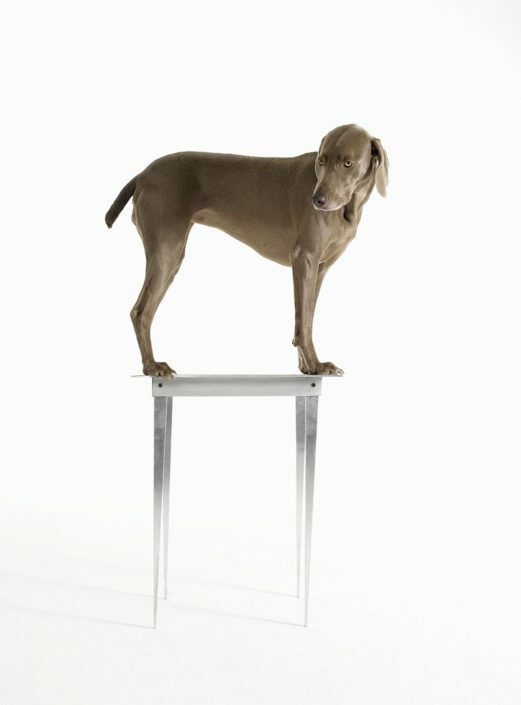 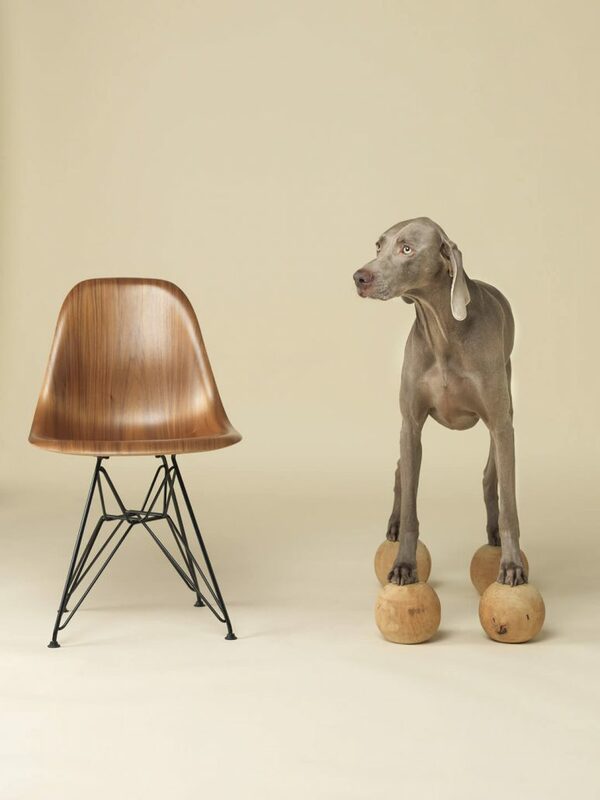 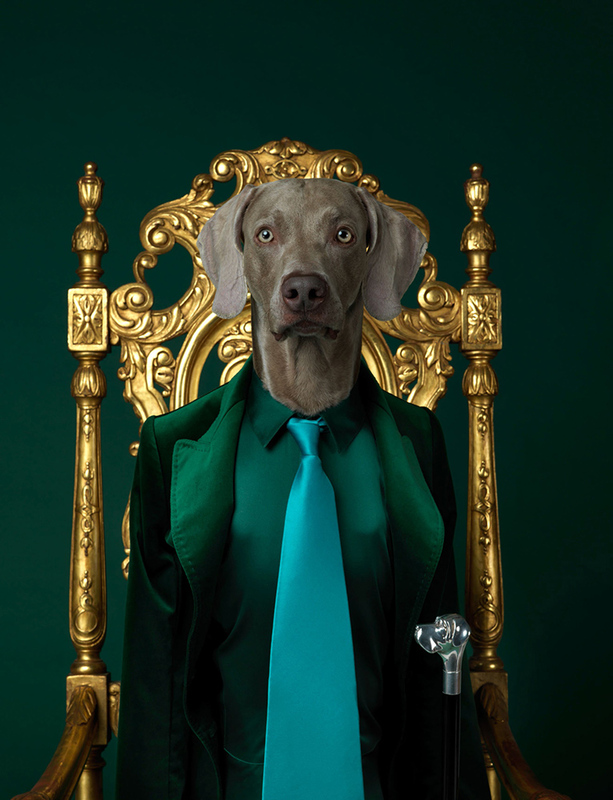 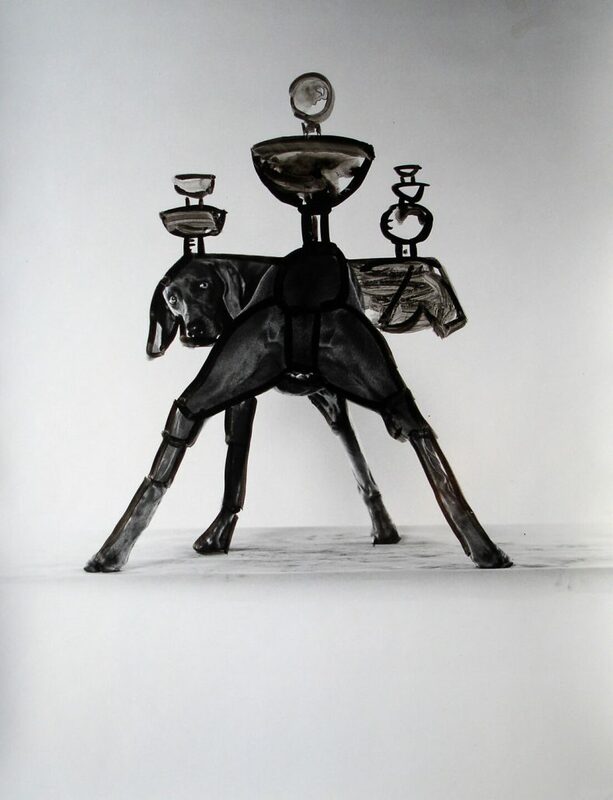 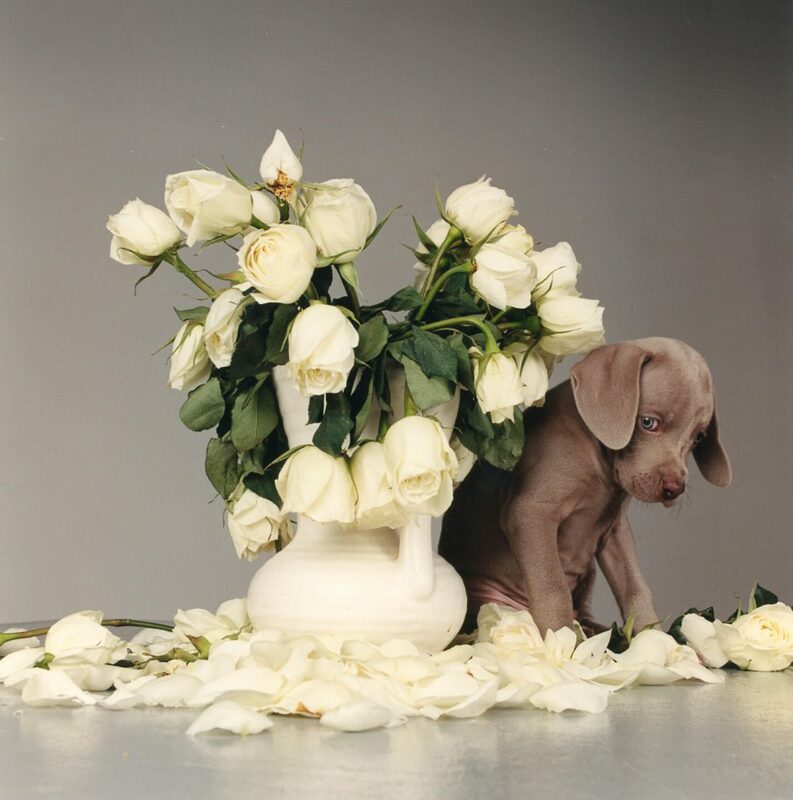 Then came the iconic photographs of the dog Man Ray and subsequent generations of Weimaraners belonging to the artist. 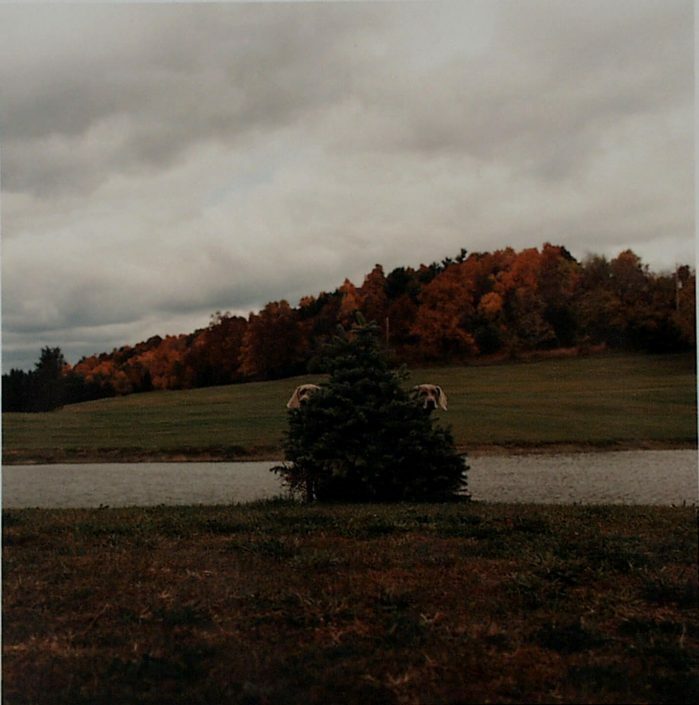 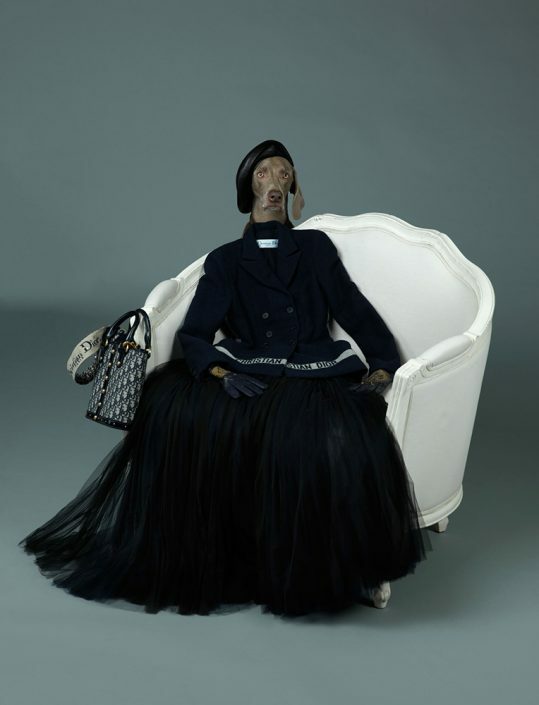 Wegman photographed them partially hidden in landscapes, marooned in everyday human situations, balanced precariously on modernist furniture or costumed as everyone from fashion models to fairy tale characters. 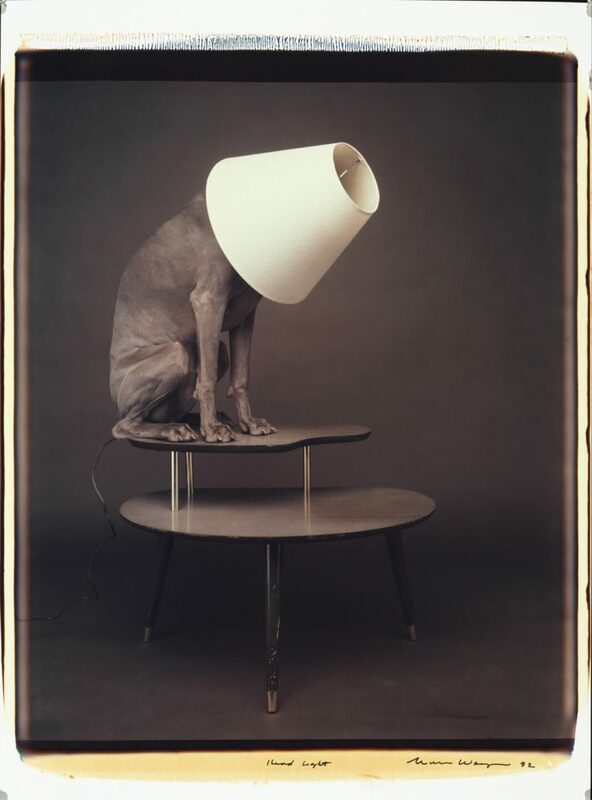 Deadpan, endearing, slyly funny and surreal, these images are a mirror, reflecting our human frailties and psychology as well as illustrating the fallible nature of our actions and motivations. 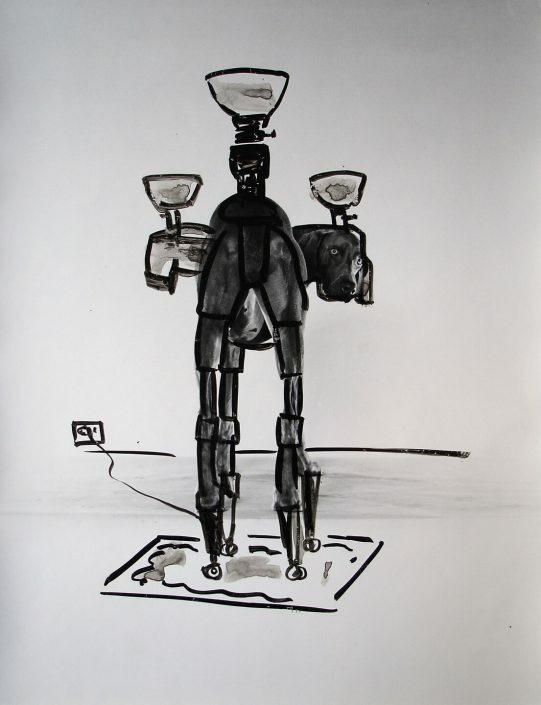 In 1965, Wegman was awarded his BFA in painting from Massachusetts College of Art and two years later, he received a MFA in painting from University of Illinois of Urbana-Champaign. 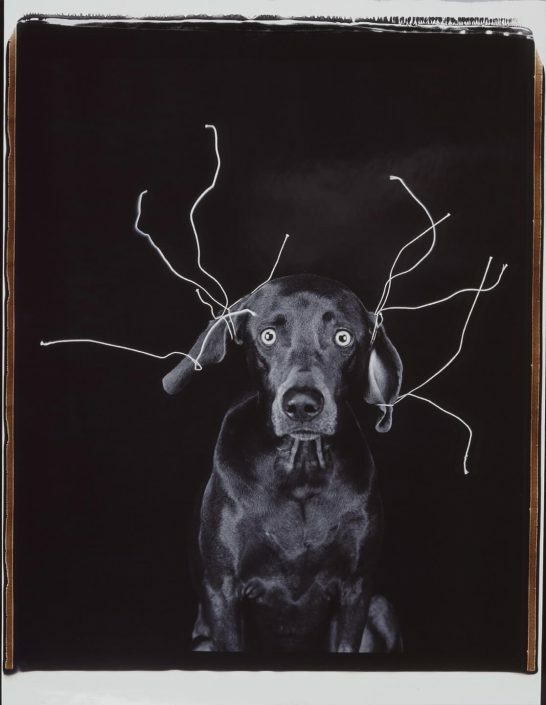 Throughout his career, he has continued to make paintings, drawings and collages alongside his instantly recognizable images of the classic gray dogs. 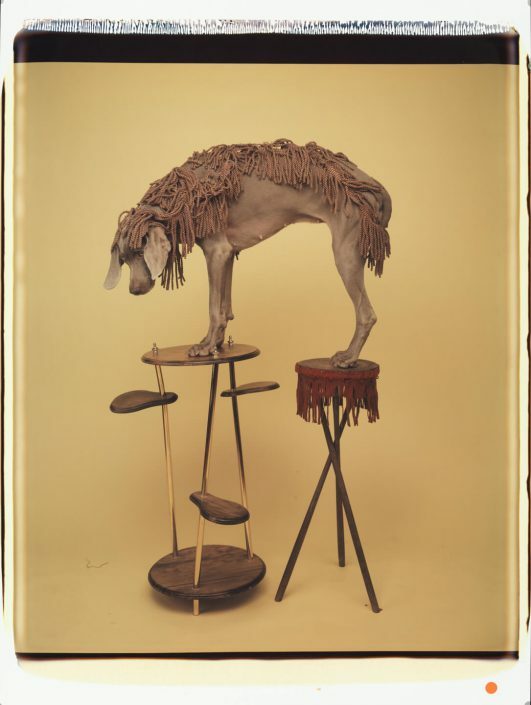 He has received many awards, including two awards from the National Endowment for the Arts, a New York Foundation for the Arts Honor and two Guggenheim Fellowships.